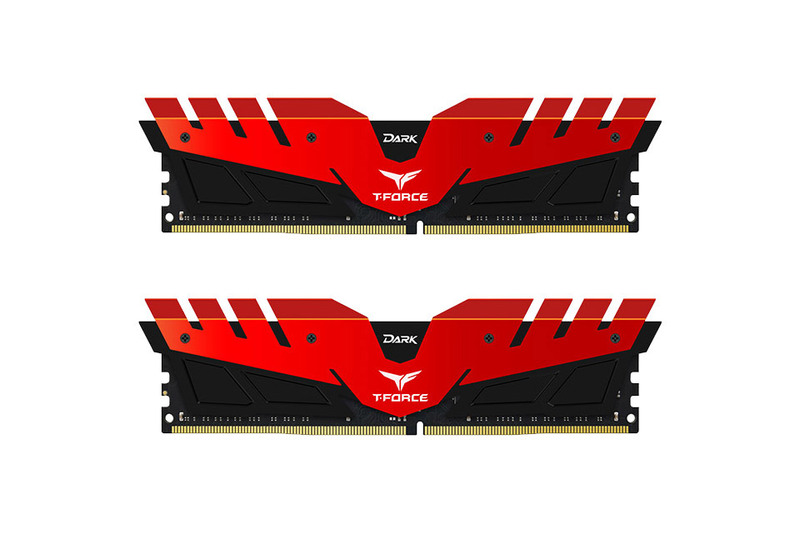 Team T-Force Dark TDRED48G3000HC16CDC01 8GB (2x4GB), 3000MHz DDR4, CL16-18-18-38, 1.35V. The Team Group design team has built a heat spreader with an all new exterior design concept. 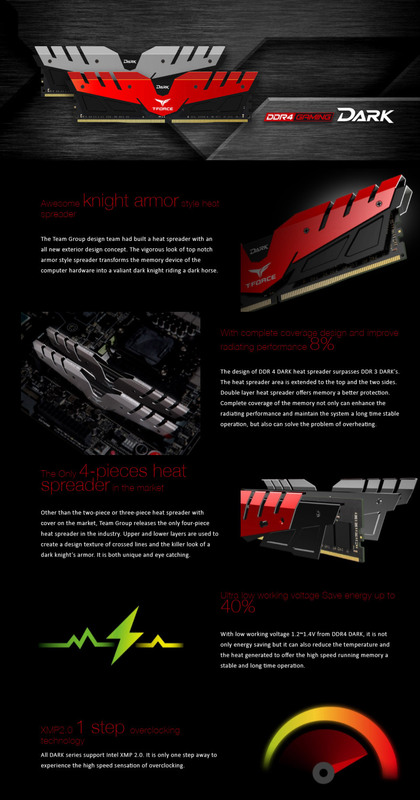 The only four-piece heat spreader in the market, it offers a vigorous look designed to add flair to your gaming system and offer improve cooling and performance for the memory at the same time. 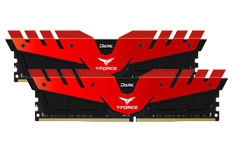 Supports Intel XMP 2.0 smart overclocking technology.